This is just as investigation into the matter revealed that the suspect planned leaving the country immediately after the act to United Kingdom. The suspect, as gathered, had packed all her certificates into one of her travelling bags. 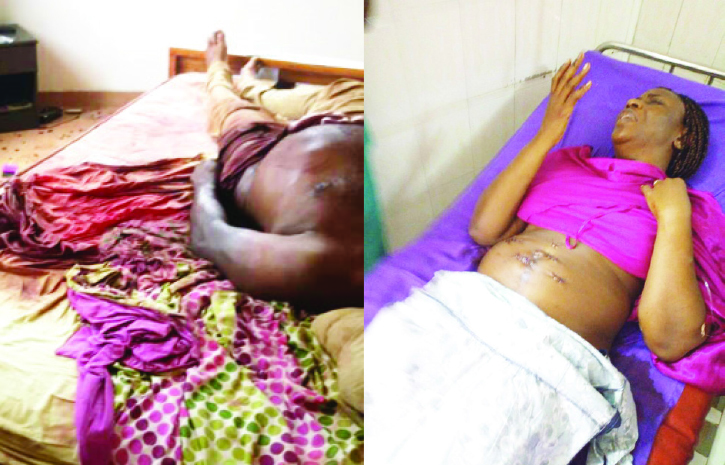 It was further revealed by the Commissioner of Police, Lagos State Police Command, Mr Imohimi Edgal, that after stabbing her husband and placing his severed manhood in his right hand, the suspect immediately called her mother on phone to alert her of the crime. Edgal, who stated that the killing could have been premeditated, said the woman procured a set of knives, which she allegedly used to murder her husband. According to Edgal, “findings so far into the case revealed the followings: That the couple had marital issues bordering on extra marital affairs; that on the day of the incident, the suspect sent a Whatsapp message to her sister in-law complaining about her husband and asked her to pray for them and equally ask God to forgive her. He added that the suspect, Udeme Otike-Odibi, in her statement, confessed to the commission of the crime and also called her mother on phone that she has killed her husband; that the suspect had hit the deceased with a fry pan on the head before stabbing him with the knife. The murder weapon has been recovered. He said: “Investigation also revealed that the deceased had earlier called his mother on phone and reported that his wife was threatening to kill him with a knife; that after stabbing the deceased in the stomach and seeing the intestines spilling out, the suspect did not attempt to seek assistance from their neighbours, rather, she called her mother, who was miles away that she had killed her husband. Meanwhile, the family of the deceased has announced burial arrangements as follows: Wednesday May 9th – Service of songs at his residence at Diamond Estate, Sango-Tedo by 6pm while funeral service will hold on the 10th of May, 2018 at Mayfair Garden’s Cemetery.